‘Mountains are not cones, clouds are not spheres, and rivers are not straight lines. We cannot deny that curves and bends have an inherent beauty’ (Mandelbrot, 2016). Indeed, the previous decades have witnessed an innovative development in architecture towards curved forms. 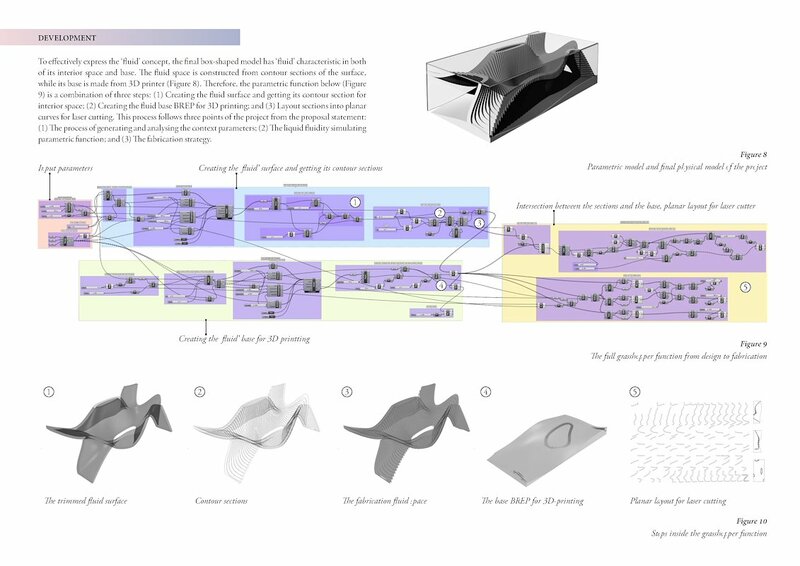 Using parametric tools, famous architectural practices such as Zaha Hadid Architects (ZHA), Gehry, SANAA, UN Studio and MAD Architects have built their architectural identity from this language. Although there are controversies of these new buildings about the high construction cost and low adaptability to the surrounding context, it cannot be denied that this trend of architecture has marked a new era of technological development. Following contemporary architects’ statements, parametric curved buildings are now usually mentioned as ‘fluid architecture’. 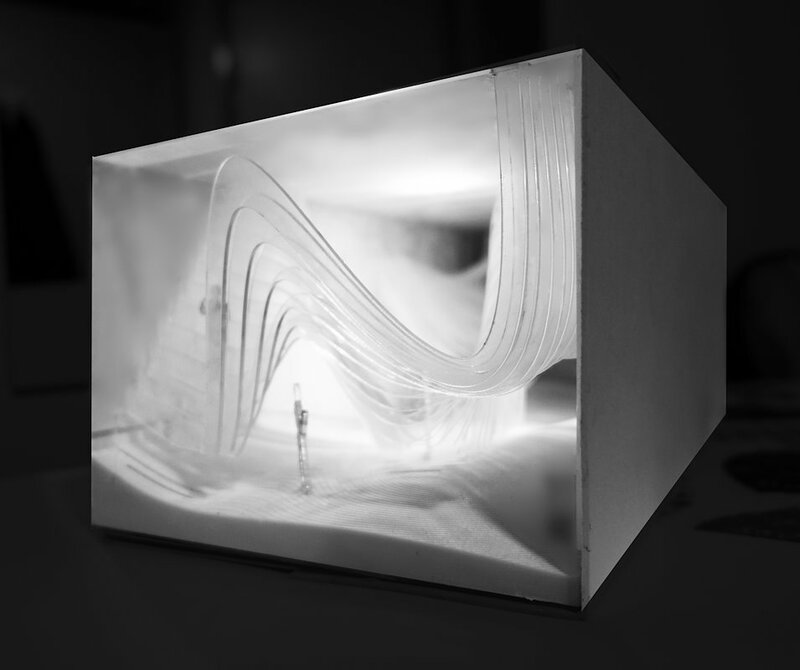 In fact, the term ‘fluid’ is continuously used by ZHA in Total Fluidity (2000-2010) and Fluid Totality (2010-2015). Drawing from their definition, ‘fluid architecture’ can be understood as the spatial sense of seamless fluidity, adapted from natural system. In addition, it is also defined as the ‘fluid stream in movement’ of users or inhabitants. Therefore, ‘fluid’ is both (1) the container, or the built form, and (2) the contained, or the relationship between the space and its users. 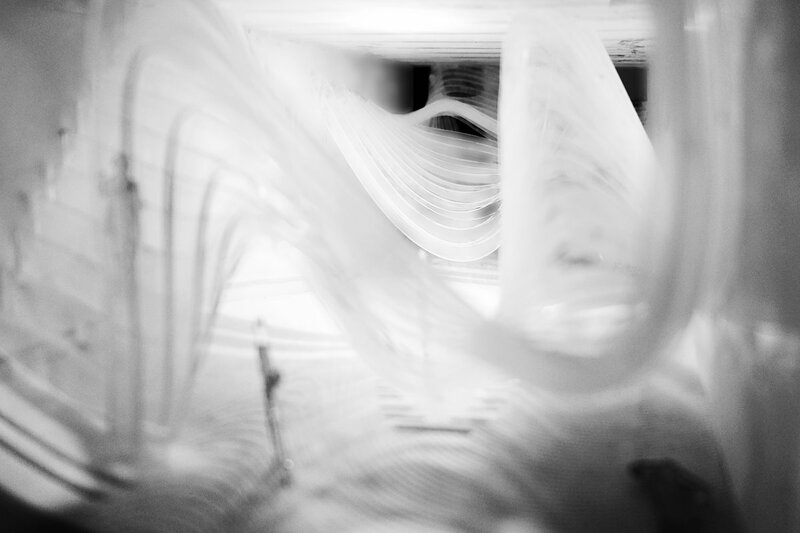 There are various ways to construct a fluid architecture. 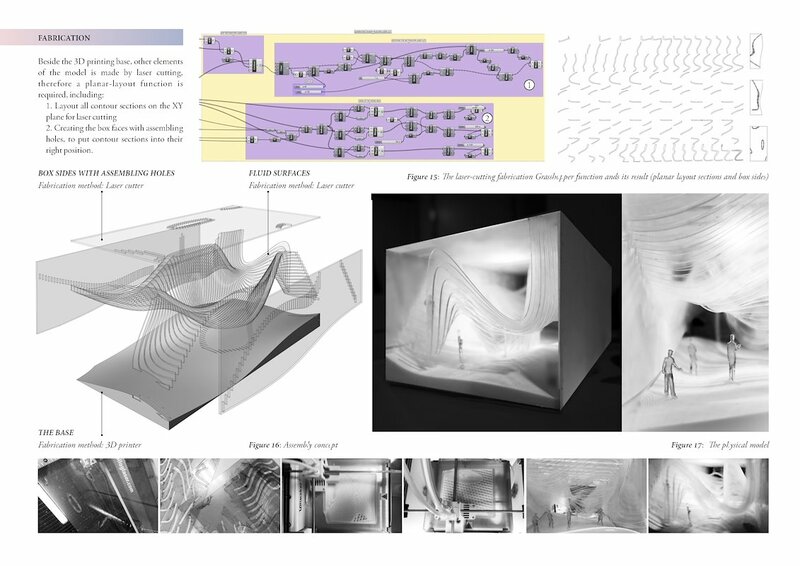 Generally, architects usually consider the relationship between mutual contextual elements to create an organic ‘traffic flow’ of users, then design an innovative form that is suitable to it. Since there is no real site in this project, another approach is developed, based on natural inspiration and computational process. 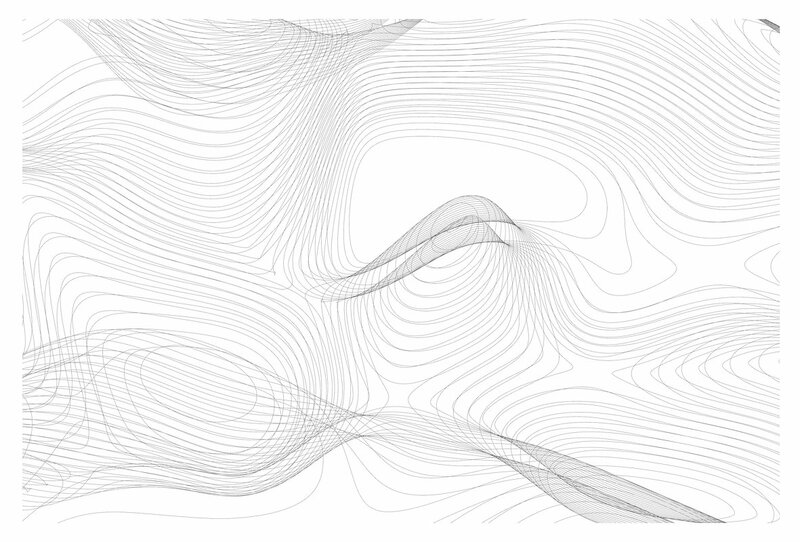 The inner space is separated yet still interconnected, by a single curved surface that is derived from a parametric function simulating liquid fluidity. 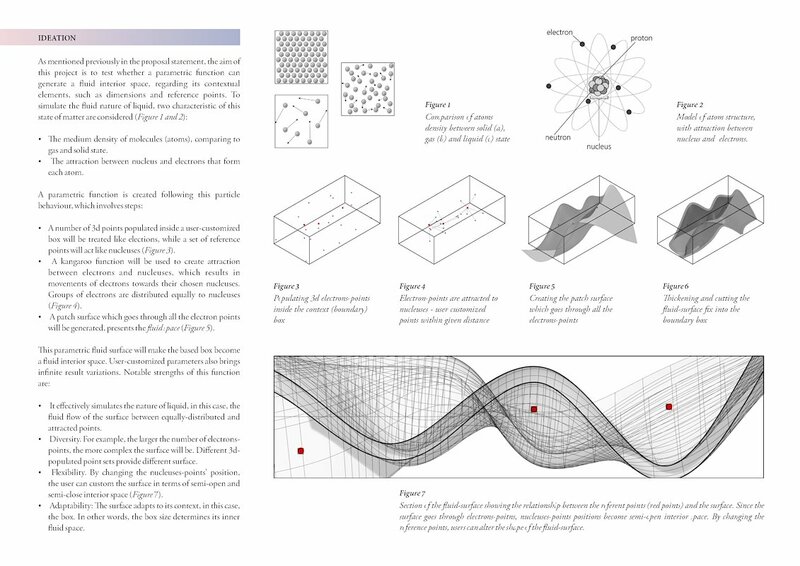 A parametric box and user-defined reference points are used as the context for the curved surface generator. Therefore, this fluid space can be varied and applied to any box-shaped room as an installation or flexible / interactive space. 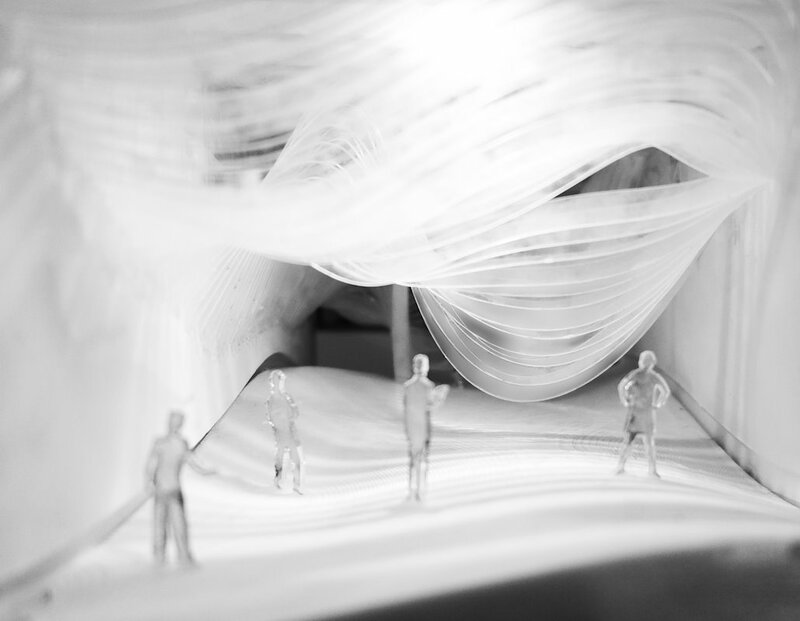 A fabrication process is proposed, which suggests a simple and structurally-free method to create a fluid interior space. 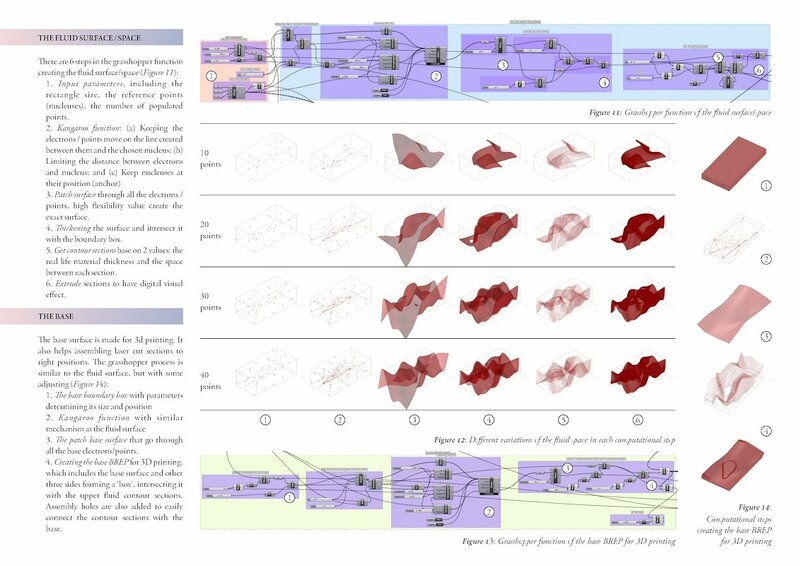 As a result, there are three points that this project will address: (1) The process of generating and analysing the context parameters; (2) The liquid fluidity simulating parametric function; and (3) The fabrication strategy. The eventual space, which is highly diversity and can provide a broad range of priority level, is proposed to be used as public and semi-public space, such as library, cafeteria, exhibition or courtyard, since it can adapt to varied social comfortable needs.